PLANO, Texas – January 15, 2019 – ZeOmega® — established in 2001 to deliver Jiva, the industry’s leading population health management (PHM) platform — has appointed Sandra Hewett as its new Chief Nursing Officer (CNO). In this critical role, Hewett will plan and direct all aspects of development, use, and interpretation of clinical content and intelligence within Jiva. She will also help architect strategy for the organization’s powerful PHM and value-based care solutions. Since joining ZeOmega, Hewett has taken the lead on developing clinical assessment protocols for improving the management of chronically ill patients and those with complex needs. She has also provided vision and execution of an integrated set of clinical rules to drive identification and stratification of populations that help improve both clinical and financial outcomes. In her new role, Hewett will continue assisting in efficiently and effectively maintaining the high-level, operational aspects of Jiva while tracking compliance with all state, federal, and local regulations laws, standards, and protocols. The ZeOmega family looks forward to continued solution enhancements influenced by Hewett’s talents and ambition. She is both a business-minded and client-conscious problem solver who has demonstrated the ability to keep the delicate balance between patient welfare and successful administrative management. With her focus aimed at helping health professionals perform at their best, supporting better patient care, and improving the value-based healthcare arena as a whole — Hewett is a CNO to watch. 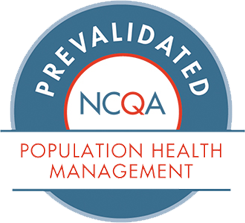 Established in 2001, ZeOmega builds and continues to deliver the industry’s leading population health management platform, Jiva, including utilization management, case management, and disease management. Our end-to-end, interoperability-enabled platform is rapidly deployable and highly scalable, facilitating collaboration among healthcare stakeholders Jiva helps healthcare organizations achieve IHI Triple Aim goals with data integration, actionable analytics, workflow automation, patient engagement, clinical quality, provider performance measurement and management, and holistic and personalized assessments to support care planning. Headquartered in Plano, Texas and with offices in Bangalore, India, ZeOmega supports over 30 million lives on the Jiva platform, employs over 500 talented individuals, hosts an extensive partner network, and serves the healthcare industry’s leading health plans and other risk-bearing entities. For more information, visit www.zeomega.com or call 214-618-9880. Follow ZeOmega on Twitter, LinkedIn , and Facebook.